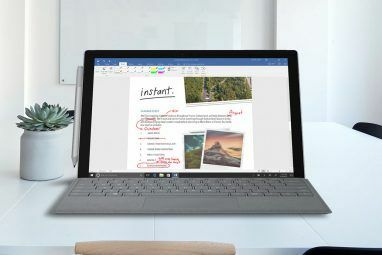 Microsoft interestingly chose an education-focused event to launch the newest member of the Surface series of computers: the Surface Laptop. 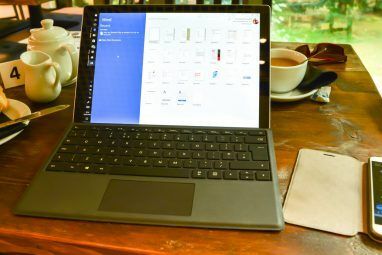 It was interesting because almost everything about the Surface Laptop spells premium; from the laser-cut Alcantara material that wraps the keyboard and trackpad, to feats like implementing the thinnest LCD touch module in a laptop to date. And while a fair share of students use Apple’s Mac laptops, for many the starting price tag of a $1,000 will be a bit too much The 5 Cheapest High-Quality Laptops for Students on a Tight Budget The 5 Cheapest High-Quality Laptops for Students on a Tight Budget There are Windows-based laptops that work well for student life and cost less than $600. Read More . 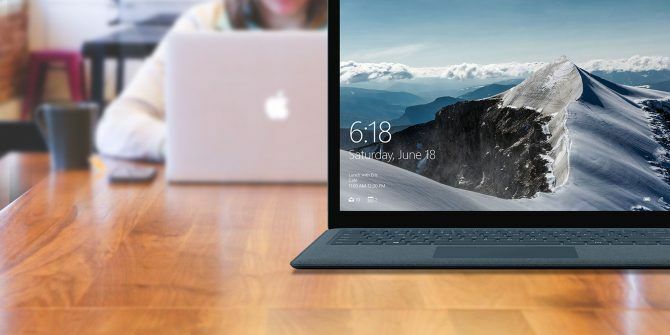 At first glance, the $999 Surface Laptop might just look like the perfect alternative to the $999 MacBook Air (why you should buy a MacBook Air Want A Great Value Laptop? Buy A MacBook Air Want A Great Value Laptop? Buy A MacBook Air Unlike many of Apple's other products, the MacBook Air is different. It's actually better value for money than any Windows laptop at that price. Read More ), which has received no love from Apple in the past few years. The Surface Laptop comes with a high pixel density display that’s also touch compatible, runs the latest 7th generation Intel Core i5 and i7 chips, and is thinner and lighter than the 13-inch MacBook Air. But here are a few things you need to know before you click that order button on Microsoft’s website. The Surface Laptop has a typically-shaped USB 3.0 port found on most computers today, meaning your existing peripherals will work without an adapter. But the world is moving to USB Type-C What Is USB Type-C? What Is USB Type-C? Ah, the USB plug. It is as ubiquitous now as it is notorious for never being able to be plugged in right the first time. Read More (USB-C, for short) as we speak, with companies like Apple putting only USB-C ports on its new computers like the 2016 MacBook Pro 13-Inch MacBook Pro With Retina Display Giveaway 13-Inch MacBook Pro With Retina Display Giveaway That's right, a beautiful, Retina display-toting 13-inch MacBook Pro could be yours for the low cost of $0. Read More . Other companies aren’t as aggressive with USB-C yet, but have started including at least one in their high-end models. The Razer Blade Stealth for example, has two USB 3.0 ports and one USB-C port with Thunderbolt 3 support, which lets you connect peripherals like an external graphics card to play high-end games. Android phones are also adopting USB-C aggressively, so you can charge your phone with your computer’s power adapter. The problem here is that people don’t upgrade their computers as often as they upgrade their smartphones. Since you’re spending a $1,000 or more on the Surface Laptop, we assume you’ll want to use it for the next three to five years. And looking at USB-C’s rate of adoption, it might just start getting obsolete sooner than later. Like we mentioned earlier, it was odd to see a computer as powerful as the Surface Laptop come pre-installed with Windows 10 S Windows 10 S: Everything You Need to Know Windows 10 S: Everything You Need to Know Windows 10 S is a new stripped-down version of Windows 10 designed for schools. Let's discuss the good and the bad, and decide if you should buy one of the new machines. Read More , an education-focused restricted variant of Windows 10 that can only run apps from Windows Store. Because it won’t run any executable files, Microsoft can optimize the performance and reliability of the OS better, as there won’t be any random apps going rogue in the background. This OS is designed to run on computers that cost as low as $189. There are some sneaky moves Microsoft made with Windows 10 S too, like how you can’t set another browser as your default web browser (it’s set to Microsoft Edge). What’s worse, you can’t even set the default search provider (Bing) in the Edge browser. Also, with Windows 10 S you’re at your favorite app developers’ mercy, as it’s up to them to make a version available in the Windows Store. For example, you can’t use Chrome in Windows 10 S until Google decides to list it on Microsoft’s app store. 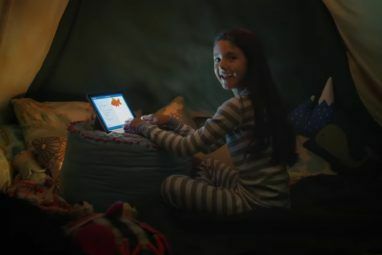 Fortunately, until 31st December 2017, you can buy a Surface Laptop and pretend it never came with Windows 10 S. This is because you’re are eligible for a free upgrade to the standard, no-holds-barred Windows 10 Pro (after December, the upgrade may cost $49). I don’t see any reason why any Surface Laptop owner won’t want to upgrade and free herself from these restrictions. One of the biggest claims Microsoft made during the launch presentation of the Surface Laptop’s battery life of “14.5 hours of video playback”. Now that sounds impressive for a computer that’s thinner and lighter than the MacBook Air, has a higher-resolution screen, and yet tops the Air’s rated 12-hour runtime. But there are a couple of factors to consider. First, if you read the fine print at the bottom of the official website, Microsoft does not fully define the testing conditions of that video playback test. For example, how high was the brightness? What was the quality of video playback? We know that Apple claims a 12-hour battery life playing a 1080p HD video at 75 percent screen brightness at the bottom of their page. Next, there’s no comparable claim of how long the Surface Laptop’s battery will last when browsing the web. Apple suggests the same 12-hour battery life when browsing the web over Wi-Fi. I’m not saying that the Surface Laptop’s battery life will be bad, but there’s a good chance it won’t run as long in typical scenarios, where you’re doing more than just watching videos. For example, Microsoft’s updated Surface Book last year claimed a whopping 16 hours of runtime, but if you were to go by the reviews, it doesn’t last as long in the real world. The Surface Laptop interestingly competes with both the MacBook Air and the MacBook Pro 13 non-Touch Bar model (which is said to be the spiritual successor to the MacBook Air). The entry-level $999 SKU of the Surface Laptop is priced the same as the entry-level 13-inch Air, but comes with just 4 GB of RAM. The MacBook Air’s base model comparatively comes with 8 GB RAM. Now, 4 GB of RAM might be fine if you don’t use more than a few apps and tabs in your web browser, but it certainly less for anything more, and especially so when you’re paying $1,000 for it. Also, 4 GB RAM could be enough if you’re planning on using it with Windows 10 S, which is designed to “suspend or even terminate applications to reduce the usage of memory, processor, and battery resources”, as suggested by Ars Technica. But in our experience How Much RAM Do You Really Need? How Much RAM Do You Really Need? RAM is like short term memory. The more you multitask, the more you need. Find out how much your computer has, how to get the most out of it, or how to get more. Read More , we’ve seen that today’s web apps (like Facebook, Gmail, Outlook.com, Google Docs or MS Office Online) are complex and 4 GB RAM sometimes can prove insufficient. To upgrade to the model with 8 GB, the price also goes up to $1,299 (you also get 256 GB of SSD in place of the 128 GB drive). But the 13-inch MacBook Pro without Touch Bar is often discounted to as low as $1,249 on Best Buy. Sure, the Surface Laptop has a touch screen and more color options, but the Pro has a sharper screen, Intel Iris graphics, USB-C ports, a huge glass trackpad, and better syncing with other Apple devices that you may own. This will make the choice harder for some. This is the weirdest decision you’ll have to make when buying the Surface Laptop. You’ve probably already seen that the computer is available in four different colors: Platinum, Graphite Gold, Burgundy, and Cobalt Blue. Want to stick to the entry-level $999 model? You can only get it in Platinum. What’s weirder, say you want to soup it up with the Core i7 processor, 16 GB of RAM or 512 GB of SSD storage? Again you can only get all of those options in Platinum. Yup, you can’t get those other fancy color options even if you’re willing to drop $2,199 on one. The only configuration where you can choose from any of the four colors from is the 8 GB RAM, 256 GB SSD option. I can imagine this might be the model that most people will choose, so from a supply-chain point of view, it makes sense for Microsoft to make it available in all colors. It also works to their advantage since people drawn by that deep red or blue color will have to pony up $300 extra over the base model. In conclusion, I don’t mean to dissuade you from purchasing the Surface Laptop if you’re absolutely in love with it. In fact, I’m very happy that Microsoft seems to have hit it on the nail with a computer that could potentially break Apple’s monopoly in the $1,000+ segment. But remember, you’re going to be using this machine for the next couple of years at least, so we hope you’ve made peace with the above. Anyone else have grave misgivings about the Surface Laptop? Let us know in the comments! Wouldn't it be fair to say that, rather than the Surface Laptop becoming "obsolete" simply because it doesn't have USB-C, you will simply have to buy a dongle in a few years if you want to plug something USB-C in? It would seem more fair to say: "dongle now, or dongle later" (which I believe was on Panos's mind). Everyone seems to say: "With the MacBook, you buy a dongle; but the Surface becomes obsolete." I don't see anyone trying to be creative here. It sounds like everyone is just copying each other when they write. I agree with your point that one can buy a USB A to C dongle in the future, just like how MacBook Pro owners will buy a USB C to A dongle today. The only reason I feel it was worth mentioning because computers like the Razer Blade Stealth have taken the ideal route, by putting both USB A and C ports. The lack of USB-C is rather weird. Currently not seeing anything in the office that requires it but as you noted it future proofs the device. But I also like your inclusion of the Razor. I have both Macs and PCs and build wise the Razor is a very impressive device. One of the best Macs Apple made for engineers and developers was the MBP 17" and it's discontinued state makes the Razor 17" the real successor for this device. I am currently running a Dell XPS 13 (last year's model) with touch and this is one of the best PCs I have ever used. Very high quality. I would take this machine over both the MBP and the new Surface laptop. Yes, that Razer Blade Stealth seems like a value-for-money replacement to a MacBook Air, since the $899 model has a Quad HD display too. Too bad it doesn't sell in India where I live yet. Really enjoyed your analysis, thank you!! All important Intel! Looks like this was written by Apple! "In conclusion, I don’t mean to dissuade you from purchasing the Surface Laptop if you’re absolutely in love with it. In fact, I’m very happy that Microsoft seems to have hit it on the nail with a computer that could potentially break Apple’s monopoly in the $1,000+ segment." Geez, people just don't read the whole thing these days.